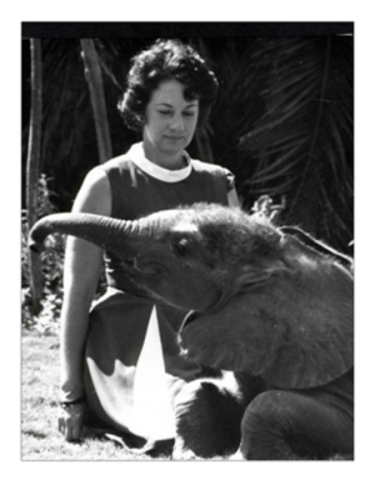 Daphne (Jenkins) Sheldrick came into the world 80 years ago today in Kenya with an incredible mission ahead of her -- to help orphaned animals survive and thrive. It is a mission that she has accomplished admirably with grace and style. 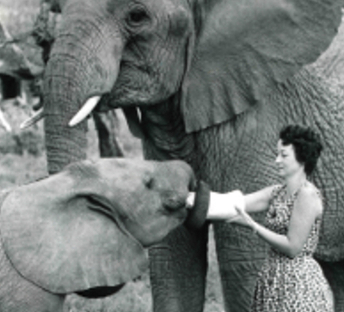 Among her accomplishments are her pioneering work in perfecting the right husbandry and milk formula have saved numerous elephants, rhinos, and other baby animals from certain death. Sheldrick's family first moved to Africa from Scotland back in 1820, setting things in motion for her to make history more than 100 years later. After high school she opted for marriage to David Sheldrick (her late husband) over college. This led the pair of them to co-warden Tsavo National Park from 1955 to 1976. It was during this time that she started to raise and rehabilitate a wide range of animal infants to return them to the wild. While most of these animals did return to the wild successfully, a few stayed on as family pets. The animals she worked to save included elephants, black rhinos, buffalo, zebras, elands, kudus, impalas, duikers, reedbuck, dikdiks, warthogs, civet cats, mongooses and a variety birds. While she is considered an expert on raising wild animals, one of her most important contributions to the field of wild animal rescue and rehabilitation has been finding proper formulas to feed infant elephants and rhinos so that they can thrive. She also worked out the proper husbandry to raise these animals with the goal of returning them to the wild. Sheldrick received an MBE from Queen Elizabeth in 1989, and was awarded an Honorary Doctorate in Veterinary Medicine and Surgery by the University of Glasgow in 2000, among a number of other prestigious awards. In 2006 she received an OBE. This was the first knighthood awarded to anyone in Kenya since the country won its independence in 1963. After her husband's death in 1977, Sheldrick created the David Sheldrick Wildlife Trust in Nairobi, which has been recognized as the most successful elephant orphanage in the world. Among Sheldrick's proudest achievements is raising children who are passionate about working for the preservation and conservation of wildlife. Sheldrick has put her amazing story into a memoir of her life, her love for husband, David Sheldrik, and the agonizing struggle against wild animal poaching in Africa. But despite her heartbreak over dwindling populations of animals, Daphne says she can't imagine living any other way. She hopes people will pull together to help defeat the poaching menace that continues to threaten so many species. 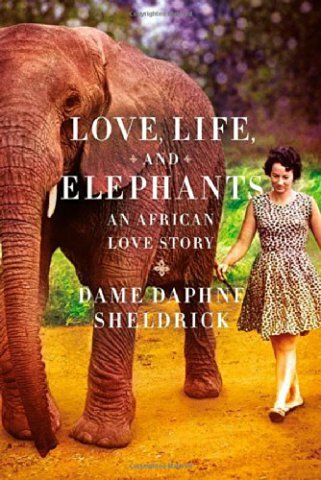 "Love, Life, and Elephants: An African Love Story" is available in print and on Kindle so that you can read about the Sheldricks, their family, and their amazing relationship with animals. Learn the stories of the animals that came to stay with them. Such as Geri, a Thompson gazelle, that came to live with them after her mother had been killed for bush meat. She was raised in Sheldrick's daughter Angela's home and became a family pet. One day she was lounging on a daybed on Angela's veranda when she was nabbed by a lioness. Angela took off after the lion "shrieking like a banshee." The noise apparently freaked the predator and she and her pride took off running, leaving Geri behind and badly injured. Somehow the vet managed to patch her back together and she survived. "I truly love all animals," Sheldrick said in an interview with the U.K.'s Daily Mail. "People often assume elephants are my favorite but there are lots other species that I adore. Apart from the big cats, I have raised just about every sort of animal imaginable over the years and every one has been remarkable." To order Love, Life, and Elephants: An African Love Story, click here.